I was walking through my building the other day and I began to feel a little anxious. I felt like someone or something was watching me from a relatively nearby location. My immediate reaction was to walk a little faster up the stair well and get to where I was going that much quicker but I still looked around to see if anything caught my eye. 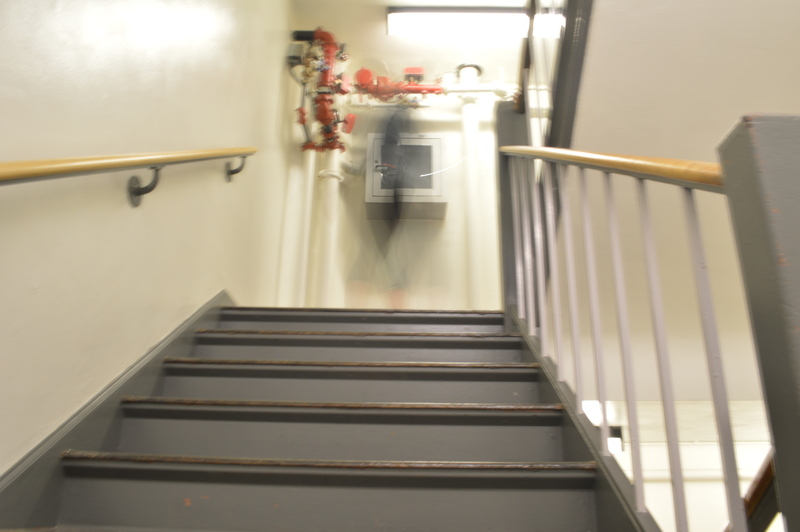 I didn’t see anyone behind me or above me on the stairs and I hadn’t heard a door open– I was pretty sure I was alone. But that nagging feeling of anxiousness didn’t leave me until I was out of the stair well. Right as I was about to open the door and get the hell out, I suddenly felt very cold and all of the hairs on my arm perked right up. I told my friends what I had experienced and Matt chimed in that it was definitely a ghost. He claimed that his house was haunted back home and he regularly saw them wandering around or making noise while he tried to sleep. I, being the skeptic that I am, immediately doubted his judgement– there are no such things as ghosts. And I told him that. But he just laughed and said wait and you’ll realize you are dead wrong. The group of us then debated the existence of spirits for a while. We decided that we needed to prove whether or not these things existed and if our building was haunted. About half of us agreed there were ghosts and the other half suspected that all I had felt was a cold blast of air from when I opened the door. We set out into the stair well and I began taking pictures to see if there were any random blur marks or strange, unexplained images. Later that night, I presented my finding to the group on my laptop. We were stunned. There were figures that just could not be explained. I suddenly felt the anxious feeling again and wondered what it would mean that the spirit now knew we knew it existed. Just kidding! Obviously these aren’t ghosts, but these are a really really cool way to take pictures! Remember how I told you last week how to take long exposure images? This is all that is really. 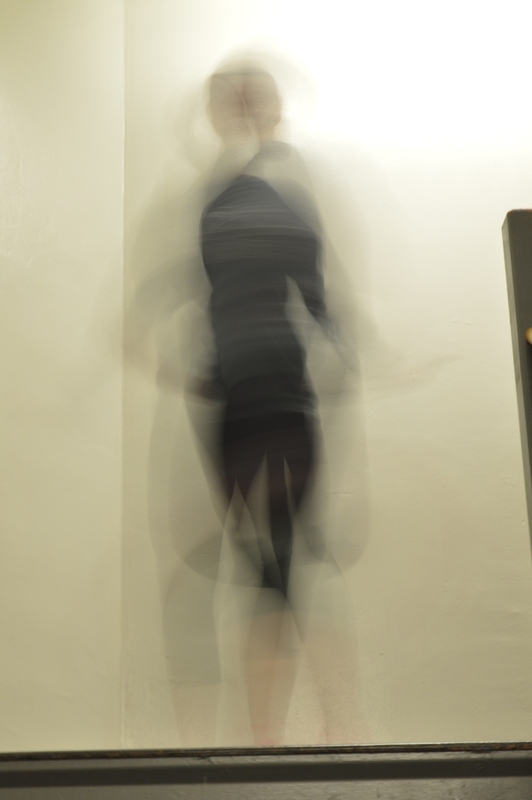 I had set my camera to take a one minute long photo and had my friend at the top of the stairs in my little stair well. 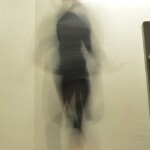 She spun around for a couple times in the span I was taking the picture and these were the results! I had learned how to capture these images in class a couple weeks ago and I finally figured out just how ‘paranormal hunters’ get their footage. There are so many cool things that can be done taking these types of photos and pranking people with fake pictures of ghosts is definitely one of them! Whaaaaaat how come Aaron and I never got stories leading up into our crafts last semester??? hahah just kidding. But seriously very cool way to set up your new method of photography. It’s a nice change to the normal how to type blogs you would see about photography lessons. I’ll be back for more stories leading into how-to’s. keep killin it! Yeah I thought that picture was an actual ghost until the end too! You set up this blog perfectly! I liked how you set up a story at the beginning and then tying it back to your main topic. Yeah you go girl. That was pretty cool. Very cliché, but you could do this with lights at night. You can spell out words if you set your exposure to a long time and use a flashlight. But nonetheless, these picture are cool. This was a really funny blog post. I thought you might have lived in Atherton Hall, so at first this got me because I have heard other ghost stories about that building. But either way, that is a really cool way to take pictures. Super creepy too. This is awesome! It’s so cool how many different things you can do with a camera. I love looking at pictures of nature, but I have never been able to take any good ones myself. I am always in awe of photographers that can get that perfect angle and lighting to make the world look so beautiful. This was a great idea for a blog post! 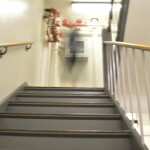 I really thought that the picture was an actual ghost all the way up until the end. Was your friend’s house actually haunted, or did you just use that story for dramatic effect? You definitely set this joke up well, and I think that this was super cool.